Ray in the camp at Mex. 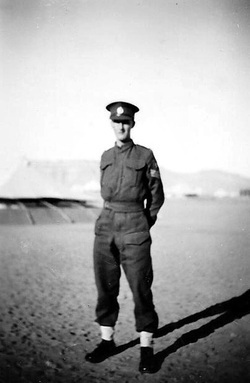 Ray was part of a Royal Engineers Dock Maintenance Company and on arrival in Egypt at Port Said, he was transferred to work in the Port of Alexandria and whilst there lived in the camp at Mex, to the west of the city of Alexandria. 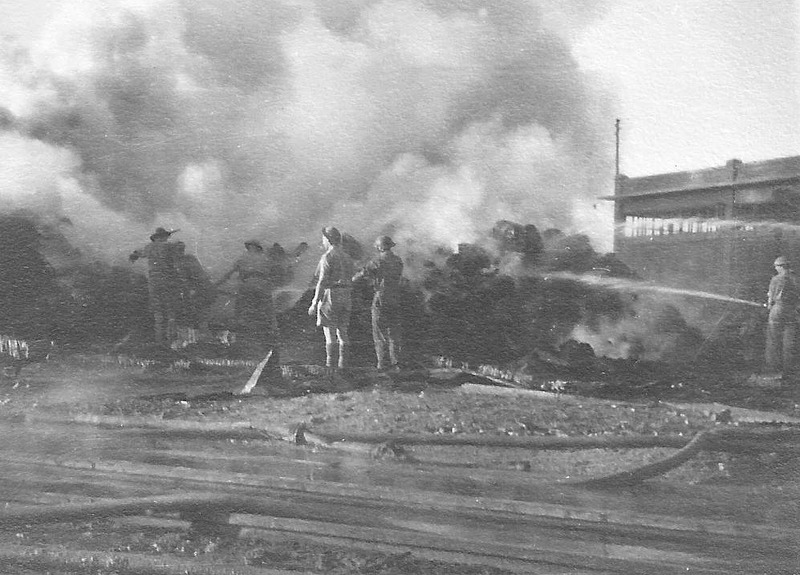 Ray's photo of a fire following an air raid. He told the tale of being dive bombed by German aircraft whilst in the docks there. 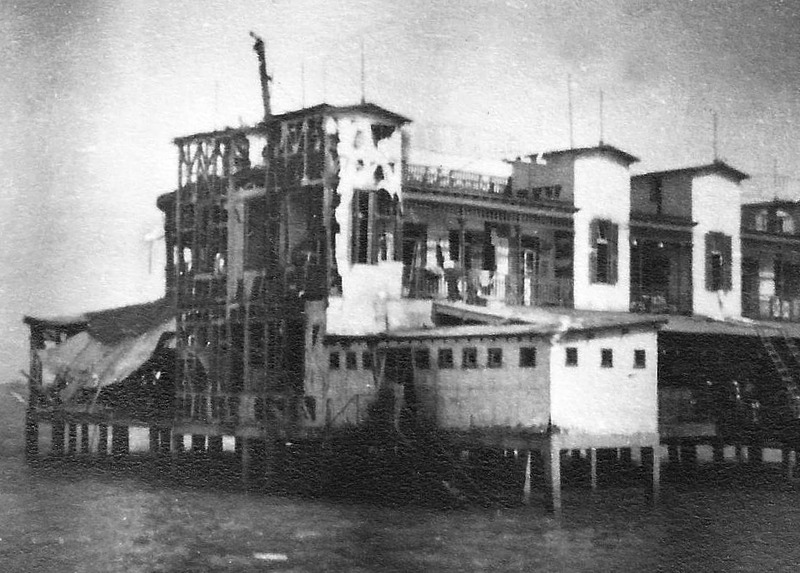 He and some others took shelter under the nearest railway wagons on the dock side. When the raid ended they emerged to find that the wagons they had been sheltering under had been carrying mustard gas shells. 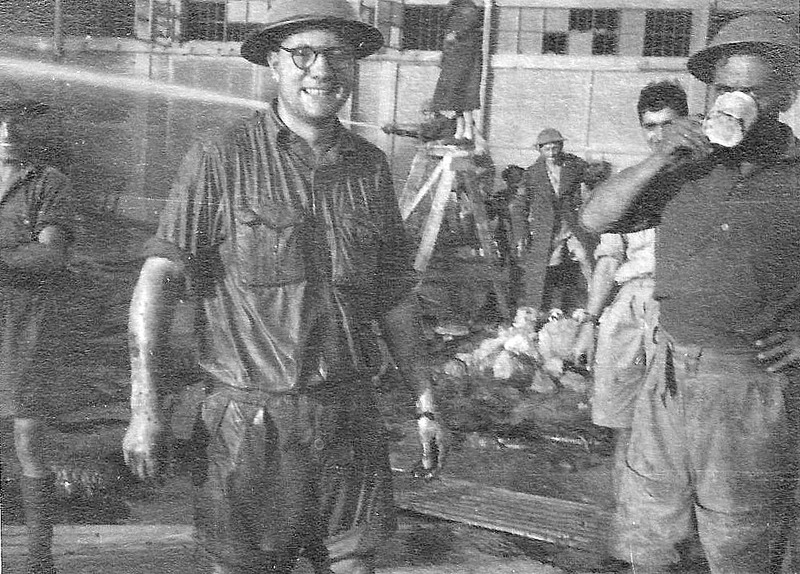 Ray's photo of firefighting after an air raid. Ray's photo of some lighheartedness after the firefighting. Ray's photos right and below show another task arising from an air raid - the recovery of unexploded munitions. It appears that a bomb disposal team have already removed the fuses from both bombs making it safe for them to be recovered. Ray with the Pyramid of Khafre behind. 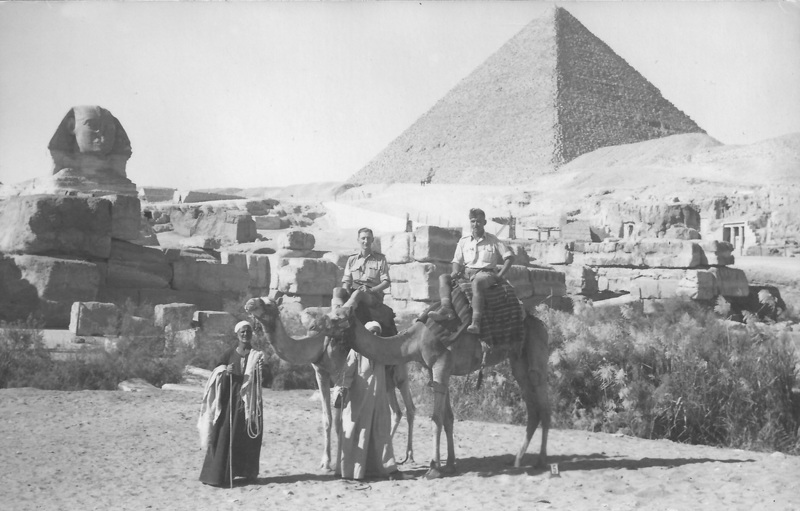 Ray's photos of a visit to the site of the Pyramids at Giza. 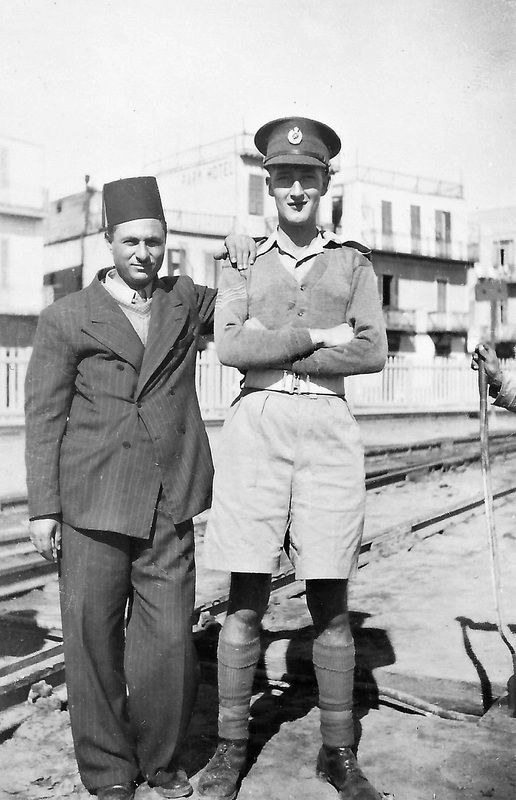 Ray with an Egyptian Railwayman at an unknown location - possibly Ramleh, Alexandria. 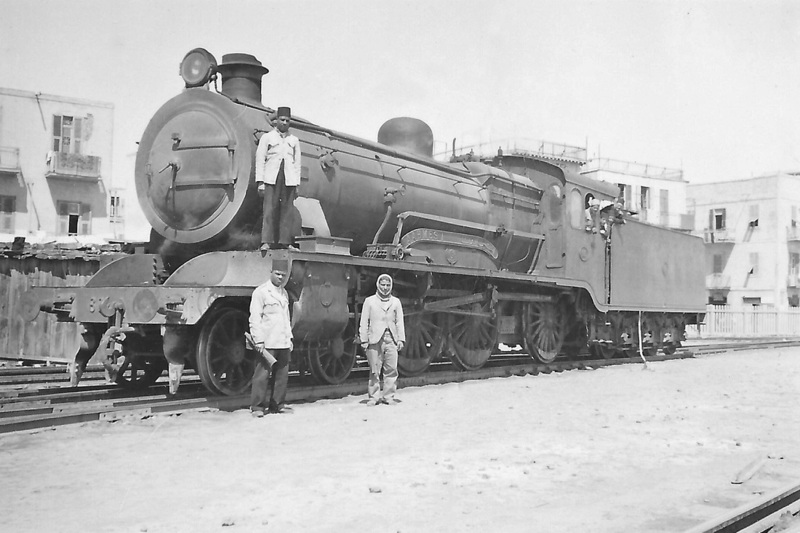 Ray's photograph of Egyptian State Railways North British Co. built 4-6-0 Loco No. 66 'Aahmes' again possibly at Ramleh Station, Alexandria. 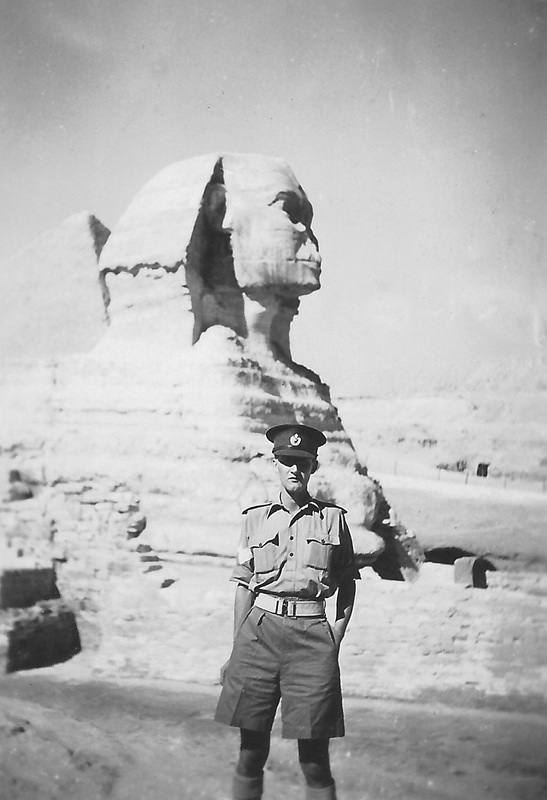 By coincidence, whilst in a cinema in Cairo, he was very surprised to recognise his Brother in Law Bert Marwood who was also serving, in the RAF, in Egypt at the time sitting two rows in front of him - in the days before mobile phones letters were the only way to stay in touch so it was quite a coincidence.